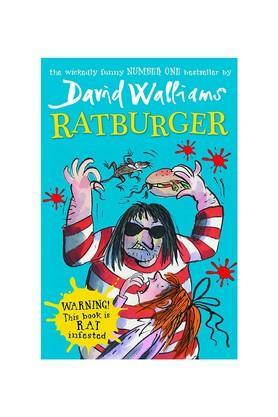 "The fifth screamingly funny novel from David Walliams, number one bestseller and fastest growing children's author in the country. Hot on the heels of bestselling Gangsta Granny comes another hilarious, action-packed and touching novel ' the story of a little girl called Zoe. Things are not looking good for Zoe. Her stepmother Sheila is so lazy she gets Zoe to pick her nose for her. The school bully Tina Trotts makes her life a misery ' mainly by flobbing on her head. 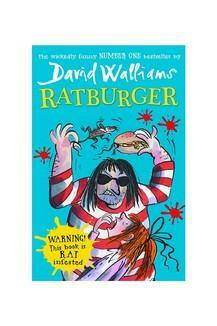 And now the evil Burt from Burt's Burgers is after her pet rat! And guess what he wants to do with it' The clue is in the title' From the author that is being called 'a new Roald Dahl', Ratburger is not to be missed! "